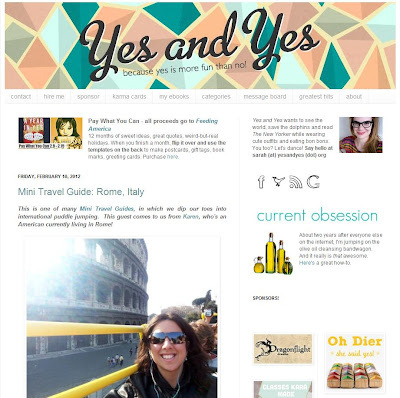 My mini travel guide on Rome featured on a great blog: Yes and Yes. What do you think? Did I do a good job with my highlights? I read this and have to say I ticked off a lot on your list, apart from the cycling so will have to go back some day and fulfil my two wheeled dreams!